Jules Gabriel Verne was born on February 8th, 1828 on Île Feydeau, a small artificial island on the Loire River in Nantes. His father wanted his son to take over the family law practice. Jules started along this course and despite graduating with a licence en droit in January 1851 was soon diverted by the lure of literature and by his own ambitious talents in this direction. He wrote for the theatre and for magazines and soon with the publication of his first novel; Five Weeks in a Balloon on January 31st, 1863 he had begun his career as an admired and popular author. For many, many years the works flowed, usually no less than and often more than two volumes per year. His meticulous research and imaginative setting and narratives soon established him as a top selling author and he became both famous and wealthy. By publishing firstly as a serialised book and then as a complete book sales swelled as did his reputation. His earnings increased further due to the runaway success from the stage adaptations of Le tour du monde en quatre-vingts jours (1874) and Michel Strogoff (1876), Strangely he was overlooked for honours. He was not even nominated for membership of the Académie Française. After the death of both his mother and Hetzel, Jules began to publish darker works but still at a prodigious rate. In 1888, Jules entered politics and was elected town councillor of Amiens, and then served for fifteen years. Jules was now entering the last period of his life. His works continued to flow albeit at a slower pace. His reconciled with his son, Michel who now became an active contributor to his father’s works and, when the senior Verne died, would continue to contribute and publish his father’s works, ensuring that the work was kept in the public eye and the legacy preserved. On March 24th, 1905, while ill with diabetes, Jules Verne died at his home at 44 Boulevard Longueville, Amiens. 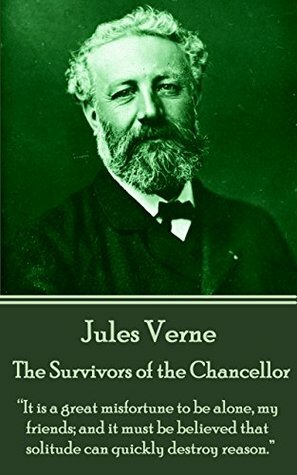 As a legacy Jules Verne is forever remembered as ‘The Father of Science Fiction’. With his rigorous research Jules was not only able to make his works realistic but also to project forward and predict many new things that would eventually come to pass – either in real life or as the basis for others to use in their own science fiction. Extraordinary indeed.